The OnePlus 6T was just announced today and it’ll go on sale in 33 markets, including the United States. 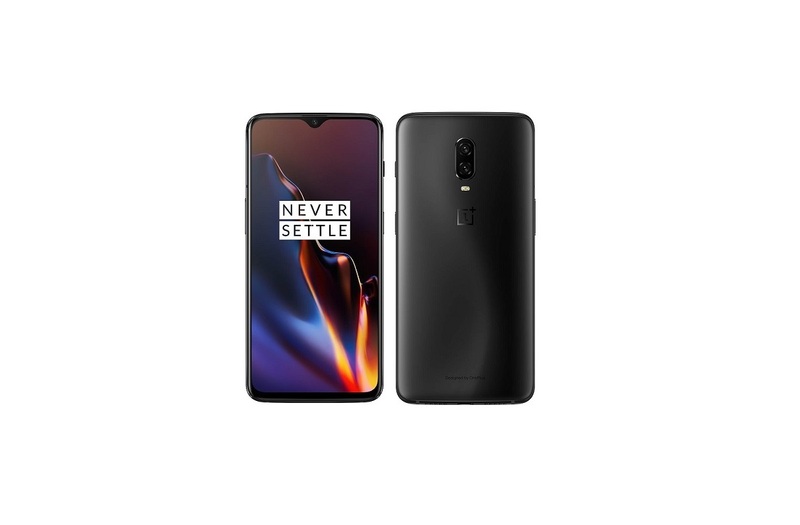 Just like the OnePlus 6, you can buy the OnePlus 6T straight from OnePlus.com if you’re in the United States. However, OnePlus has partnered with T-Mobile to sell the OnePlus 6T in retail stores. In addition, the OnePlus 6T supports band 13 and is certified for use on Verizon Wireless. Americans have greater access than ever to OnePlus smartphones so if you’re interested in picking one up, here’s what you need to know. You can buy the OnePlus 6T in T-Mobile retail stores, where it’ll be on display so you can try it before you buy it. T-Mobile will exclusively carry the Mirror Black model with 8GB RAM and 128GB of storage starting November 1st at 06:00 AM ET. All T-Mobile network features (VoLTE, VoWiFi, etc.) are fully supported. You can buy the OnePlus 6T for half-off ($300 off) with an eligible trade-in. Over 30 devices are eligible for trade-in, including all previous OnePlus devices: OnePlus One, OnePlus 2, OnePlus X, OnePlus 3, OnePlus 3T, OnePlus 5, OnePlus 5T, and OnePlus 6. With trade-in, you can get the device for $0 down and $11.67/month for 24 months via T-Mobile’s Equipment Installment Plan (EIP). Without trade-in, you can get the device for $0 down and $24.17/month for 24 months via EIP. On October 29th at 05:00 PM ET, the OnePlus 6T will go on sale in T-Mobile’s signature store in New York City’s Times Square. The device you buy from T-Mobile isn’t 100% the same as the one you buy from OnePlus.com. The T-Mobile model is single-SIM while the unlocked version is dual-SIM compatible. Also, if you finance the device from T-Mobile, you will be unable to unlock the bootloader until you pay off the device. After you pay off the device, you are free to unlock the bootloader by using this form. Unlike previous OnePlus devices, the OnePlus 6T can be used on Verizon’s network since it has band 13 support and has received certification from Verizon. You can choose to bring-your-own-device to the Verizon Wireless network. I tested Verizon support on my review unit at home, and indeed calls, text, and data all worked on the device. The OnePlus 6T does support all of the major LTE bands for Verizon, but there are several factors that could determine what speeds you’ll be getting. For example, I was getting about 19Mbps down while my Pixel 3 XL was reaching 55Mbps down on Verizon. In comparison, my OnePlus 6T was hitting speeds of 78Mbps while on T-Mobile’s network. Your mileage will vary. If you want to know all there is to know about the device’s specifications, design, camera, and software features, please visit our announcement article which has a thorough rundown of what’s new in the OnePlus 6T. Lastly, check out the XDA forums for the device where you can chat with fellow users about accessories, guides, tips, developments, etc. Correction: this article was updated on 11/13/18 to reflect that the OnePlus 6T does support all major LTE bands on Verizon Wireless.